The Short Version: New Orleans is a popular vacation destination in the South. 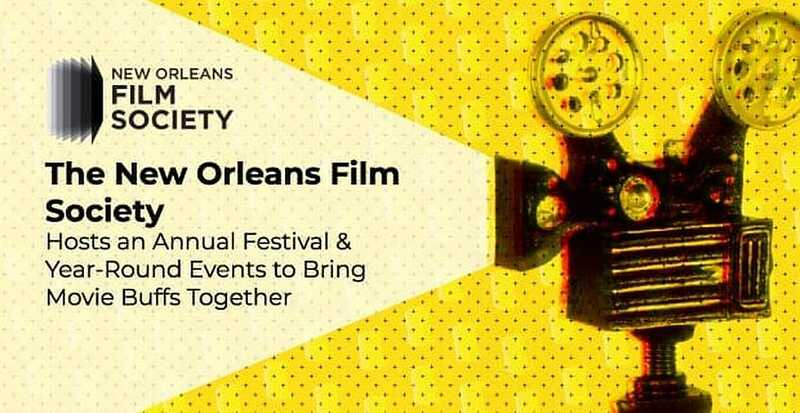 People often go there for the jazzy music, the spicy seafood, and the lively downtown scene, but every October, the New Orleans Film Society gives tourists yet another reason to visit the Big Easy when it hosts an internationally acclaimed film festival. The New Orleans Film Festival is the longest running event of its kind in Louisiana. The annual event showcases over 230 films and attracts over 20,000 attendees, including up-and-coming filmmakers and talented actors and actresses. This is a great opportunity for couples who enjoy watching movies together — you can spend an entire week attending screenings, discussing original films, and mingling at parties full of fellow movie lovers. Movies bring people together by revealing the common threads of humanity. Watching a good movie can help audience members open their hearts to new ways of thinking. When you see yourself in the eyes of another person, you expand your understanding of the world and connect with a deeper truth about what it means to be alive. Many couples choose to see a movie on their date nights because the theater offers an enthralling escape from the everyday. They can let themselves be swept up by a fictional story that entertains, challenges, and enlightens them. Afterward, they can talk about the messages or moments that resonated with them and connect with one another by sharing their perspectives. The New Orleans Film Society hosts a midnight gala, outdoor movies, and other social events for local movie buffs. By taking a date to the movies, you can start a heartfelt discussion about topics that matter to you. If seeing a movie is your go-to date activity, you should check out the calendar of the New Orleans Film Society, a vibrant film community in the South. This organization hosts screenings, filmmaker workshops, and events throughout the year, but it’s best known as the founder of the New Orleans Film Festival (NOFF). Since 1989, the New Orleans Film Society has hosted an eight-day festival to seek out the industry’s most talented and original storytellers. Based in the cultural heart of the South, the New Orleans Film Festival offers a whirlwind event full of artistry, talent, and local flair. Thanks to the loyalty and enthusiasm of its audience, the NOFF has become the longest-running film festival in the state and the largest film festival in the South. 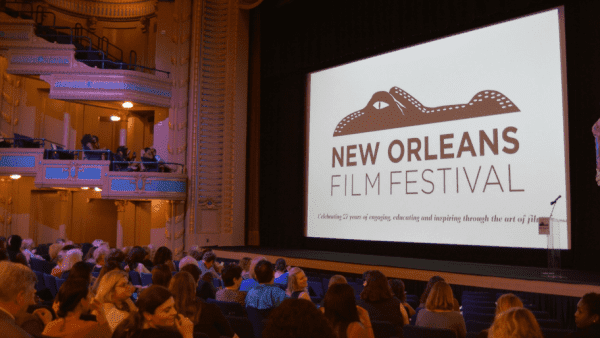 The 29th annual New Orleans Film Festival will run from October 17 to 25, 2018. The organizers are currently accepting film submissions from bold storytellers from all walks of life. The selection committee will announce its film selections on Aug. 1. Over the last few years, the New Orleans Film Society has placed particular emphasis on showcasing underrepresented voices in its selection of screenings. In 2017, 54% of the festival’s films came from women and gender non-conforming directors and 45% from directors of color. The New Orleans Film Festival was started in 1989 by a group of friends who wanted to screen little-known films and give talented filmmakers a chance to have their voice heard. Today, the New Orleans Film Society has over a 1,000 members and produces Oscar-qualifying film festivals that celebrate the diversity and imagination of 400+ filmmakers. You can become a member of the New Orleans Film Society to purchase advance tickets to its festivals. Membership also includes free tickets to over 15 exclusive screenings hosted at local movie theaters all year round. The Take Two membership plan, which costs $100, is the best deal for couples. Movie Magazine named the New Orleans Film Festival one of the 25 coolest festivals in the world. You don’t have to be a member to attend the New Orleans Film Society’s festivals and events, however. The NOFF makes it a point to be inclusive and welcomes a diverse crowd of film enthusiasts. People from all over the world travel to New Orleans to enjoy screenings of over 230 films, which have been selected from 5,000+ film submissions. Typically, the festival sees over 20,000 attendees in the course of its week-long entertainment. The New Orleans Film Festival delights attendees with independent film screenings and dynamic after-parties. Whether you want to sit back and enjoy a comedy or rub elbows with industry elites at an elegant gala, the festival provides a dynamic calendar of events throughout the week. 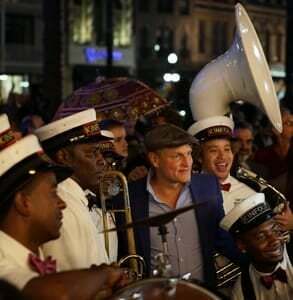 On opening night, the second-line parade pays homage to a long-held New Orleans tradition by inviting theater goers to join a musical parade after the credits roll. People jump out of their seats to follow the band (often led by celebrities like Woody Harrelson and Lupita Nyong’o) from the Orpheum Theater to the after-party down the street. Movie buffs can join in on the fun by getting a Weekender Pass, which includes access to the VIP lounge and all screenings, workshops, and parties held from Friday through Sunday. The Weekender Pass is perfect for daters who are going to the city for a weekend getaway and want to see what the festival is all about. When you show up at the New Orleans Film Festival, you’re bound to have a good time. There is so much to see and do — it’s hard to know where to start. Attendees may come for the shows, but they stay for the community of filmmakers and movie buffs united by the New Orleans Film Society. A love of cinema draws these people together. Cassandra Lee said the New Orleans Film Society has “everything to love,” including outdoor screenings, free member movies, and film festivals. “It just gets better and better,” she said. When the lights go down in the theater, couples naturally snuggle up and settle in for a few hours of thoughtful, nuanced, or heart-pounding entertainment. A movie theater is a prime setting for a date because you have this shared experience to hold your attention, and the plot and characters give you a starting point for a post-movie conversation. On the first night of the New Orleans Film Festival, a celebrity guest leads a parade of movie lovers to an after-party. You can enjoy just such an engrossing cinematic experience by attending the New Orleans Film Festival in Louisiana. The New Orleans Film Society goes all out to make this eight-day event an unforgettable experience for filmmakers and audiences. Whether you live in the city or out of town, you can wow your date by spending a few days enjoying movie marathons, musical parades, and spirited parties at the largest film festival in the South.